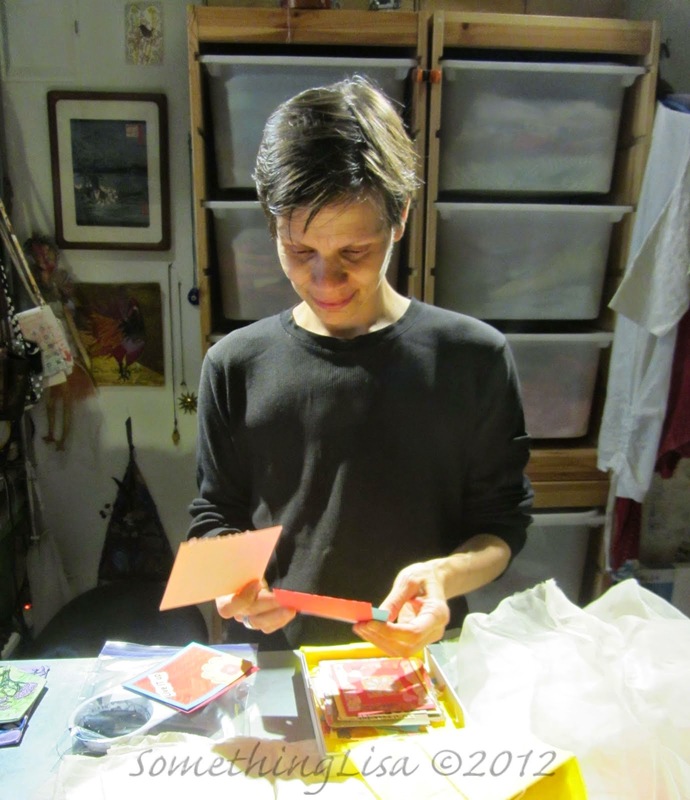 Two years ago, my friend, Melanie Testa, sent out a call asking artists to make breast pockets. I made a couple of fabric pockets and then asked my daughter's volleyball team to make paper pockets for Melly. I delivered the pockets to Melly when I went to New York for my sister's wedding. 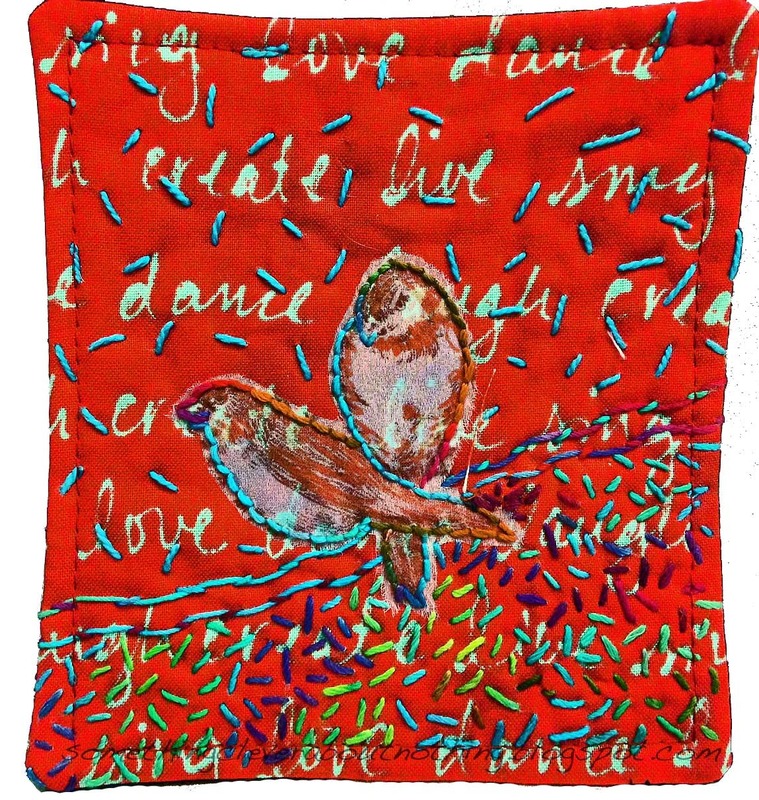 In the October/November 2014 issue of Quilting Arts Magazine, another call was put out for Melly's Breast Pocket project in a reader challenge called: "Art from the Heart: The Breast Pocket Project." I created two pockets and I thought I would share. I started with an image of two birds I found at The Graphics Fairy. 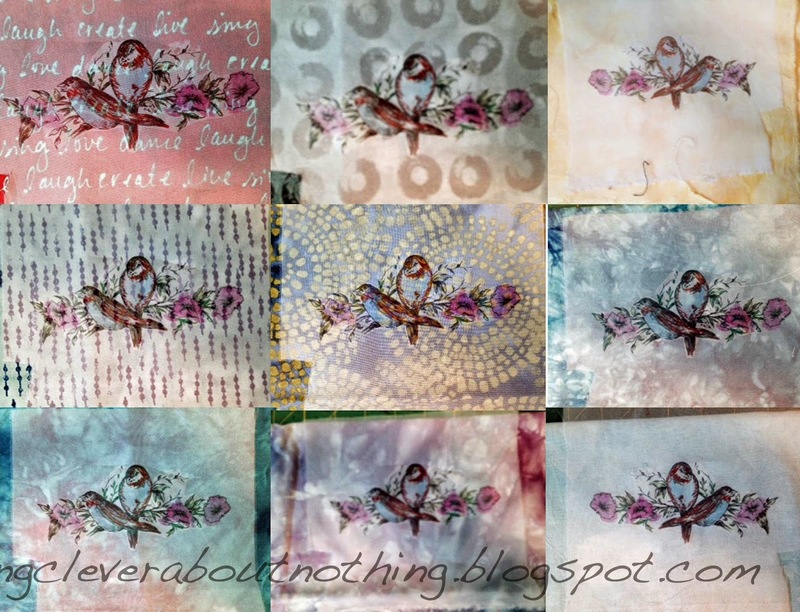 I printed the birds onto a piece of TAP, and then ironed them onto some silk organza. I auditioned them on several fabrics from Lynn Krawczyk's new fabric line: Inked, as well as a number of my own hand dyed fabrics. I decided I liked Lynn's red Inked fabric best. I love the inspiring words on this piece and felt they were very appropriate for this challenge. 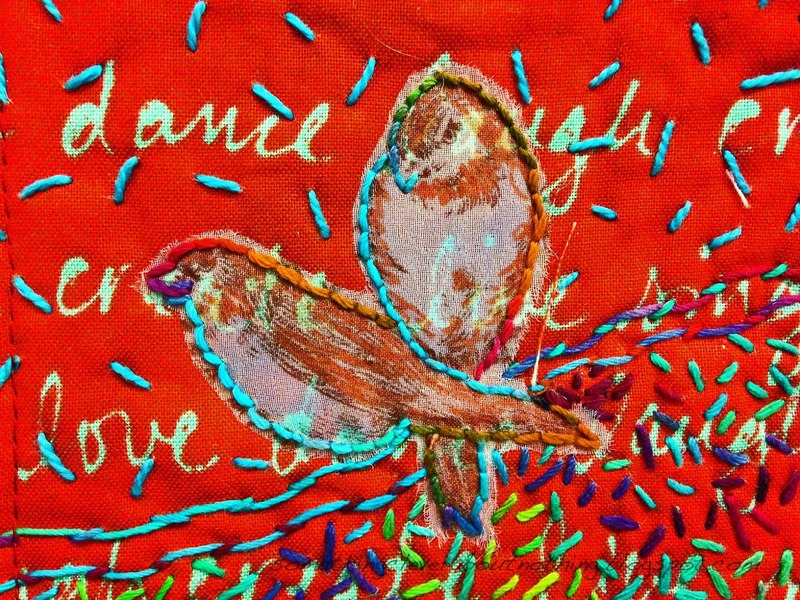 I Mistyfused the birds to the fabric and then, using my own dyed thread, outlined the birds and used a scattered seed stitch over the entire 5 x 6" piece. I haven't done a lot of embroidery lately and this felt very therapeutic. 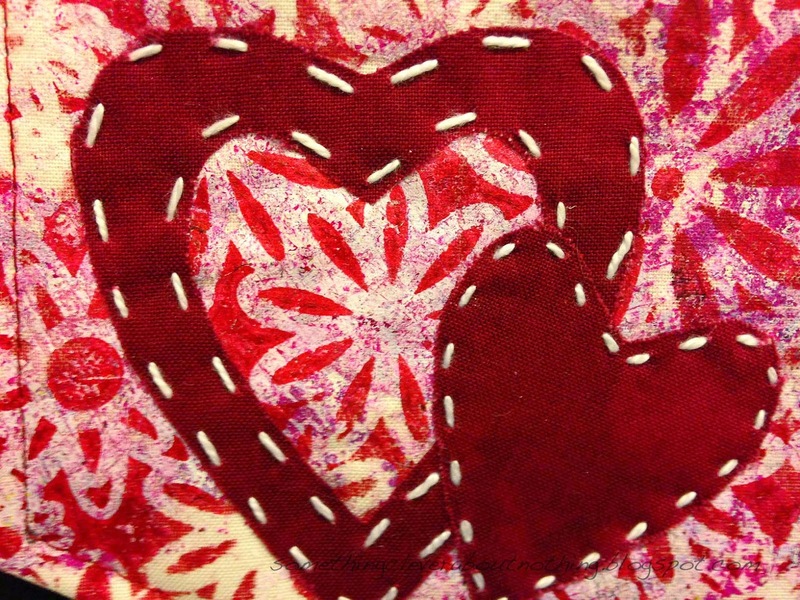 My second piece was created using one of the blender pieces from Lynn's Inked line for the hearts, and a piece of my Gelli printed fabric as the background. 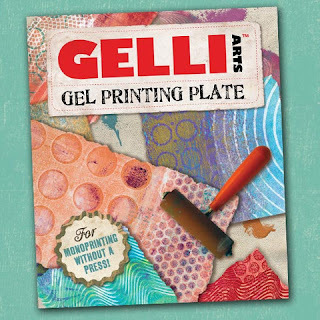 I made the print with one of my favorite flower stencils, Gathered Flowers from Crafter's Workshop. After finishing this piece I was in a heart mood. 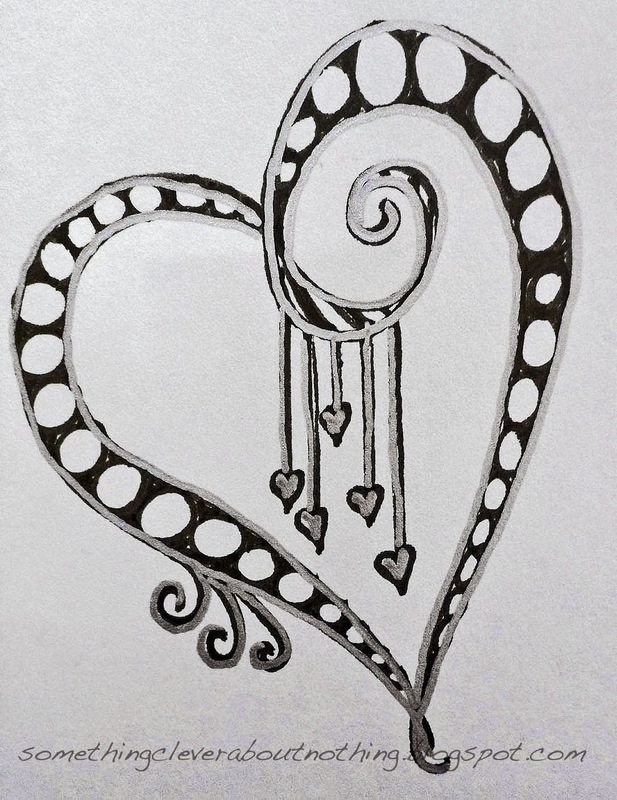 I decided to decorate the envelope with a heart doodle. 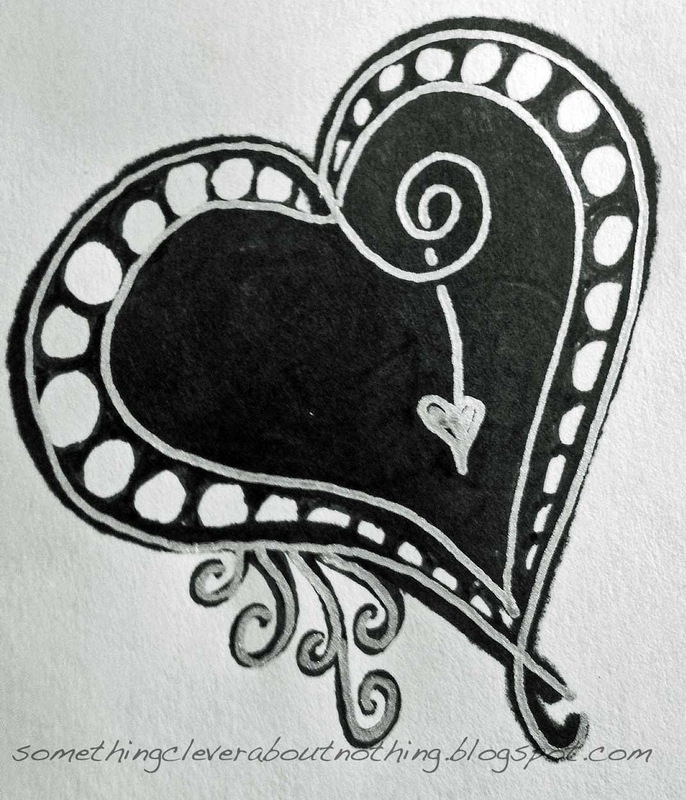 And I couldn't stop so I made another heart doodle on the envelope for Susan's Sunflowers! 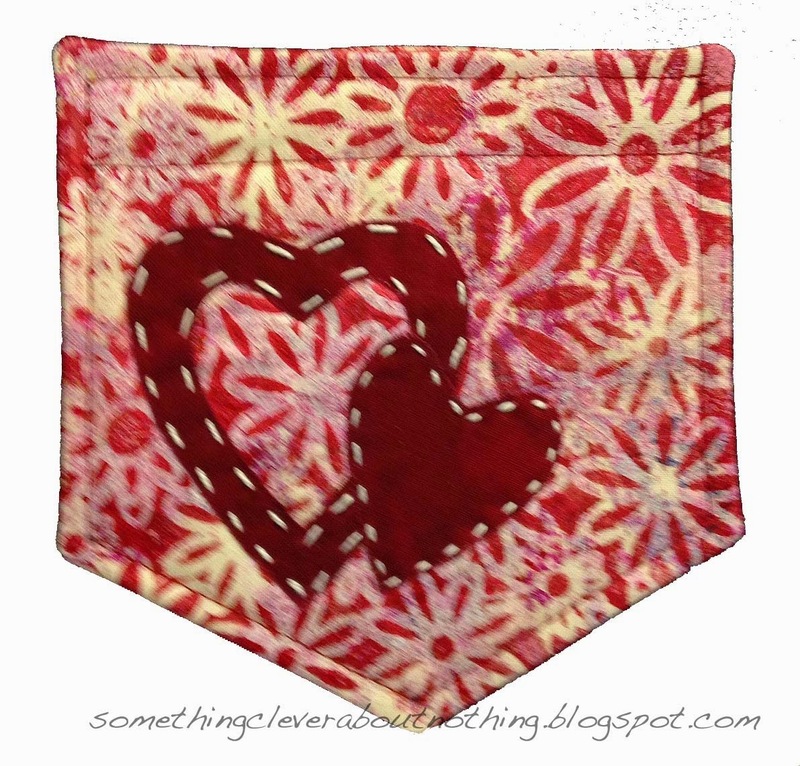 I created my pockets in honor of my friend who was diagnosed with ILC- Invasive Lobular Carcinoma last year. She has is a good friend and I'm so grateful to have her in my life. Lisa, your pockets are beautiful. I know Melly will love them. Lisa. Thank you so much for your grace and friendship. Your pockets are great. I love the inclusiveness of your fabric and notions choices. And I love the memory of that day we spent together. 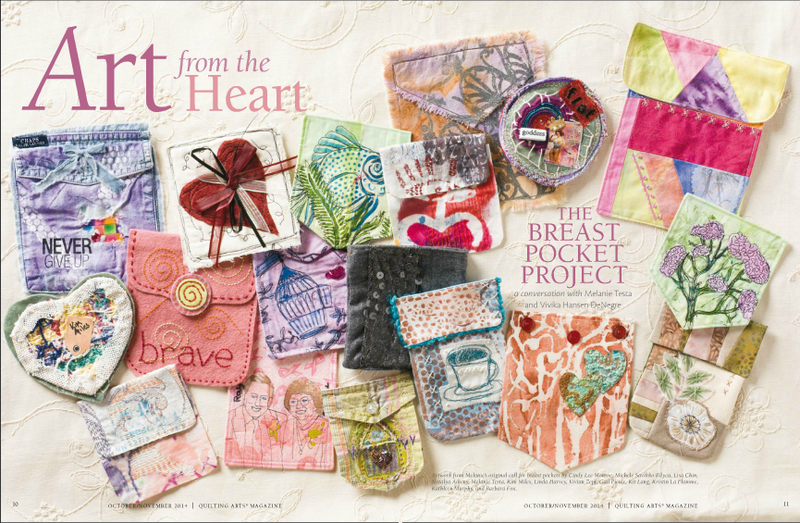 What a great cause, and your pockets are gorgeous!